Douglas A. Drossman, MD and his patient, Katie. 2) have quality time to establish an effective patient-provider relationship. This can result in inaccurate diagnoses and treatments as well as patient and physician dissatisfaction with each other and the very process of care. 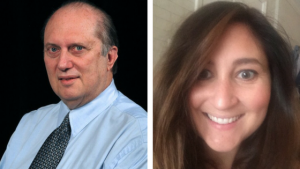 This webinar is specifically designed for patients and features Douglas A. Drossman, MD, MACG, and one of his patients, Katie, who recently published her health journey in The American Journal of Gastroenterology. Dr. Drossman and Katie will discuss her case as an example of effective patient-provider communication and provide guidance, tips and insights on what you can do to better understand your symptoms and how best to communicate with your doctor on how they are impacting your quality of life so you can effectively work together to achieve symptom relief.